Authentic Italian Craftsmanship - Precision Made! 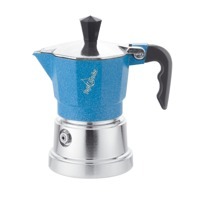 Satisfy your entire family's need for strong Italian coffee with this large Moka Pot. 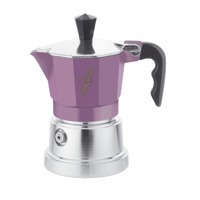 From your stovetop, you can easily make up to six shots of espresso-like brew in less time that you'd spend waiting in line at a busy coffee shop. 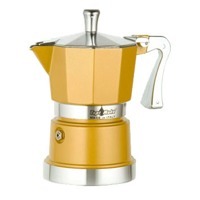 These coffee pots are handcrafted using traditional methods from the finest raw materials. 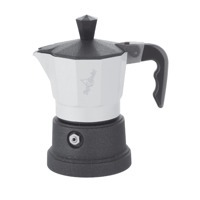 Order Your Six Shot Moka Pot Online Today!